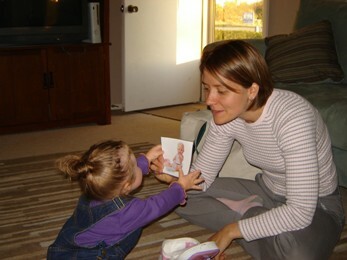 A DSC therapist working with a child in the home setting. The Family Development Center is a comprehensive community-based Early Intervention Program that offers assistance to families of infants, toddlers and young children who are experiencing or are at risk for delays in development or have identified special needs. For more information about the Family Development Center please call the Director of the Family Development Center, at (217) 356-9176.